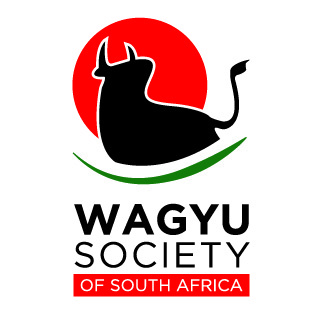 Wagyu Society Coming to Cedara! 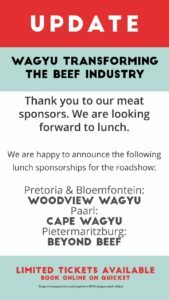 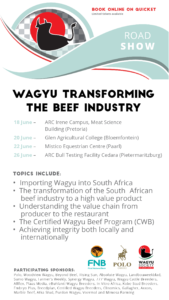 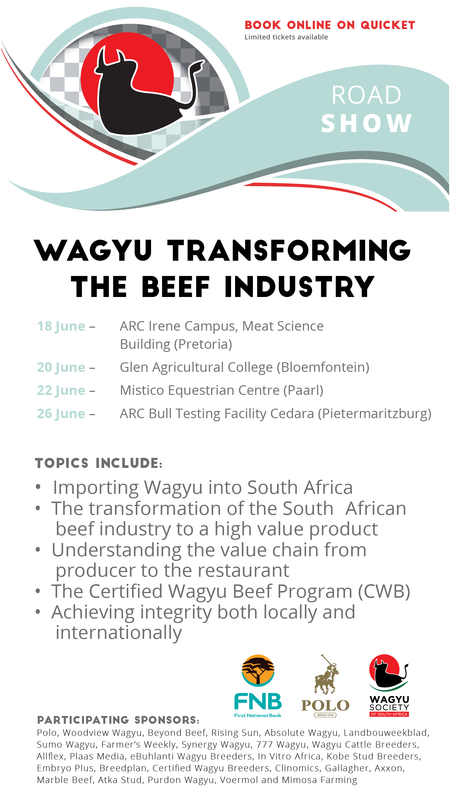 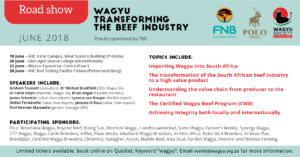 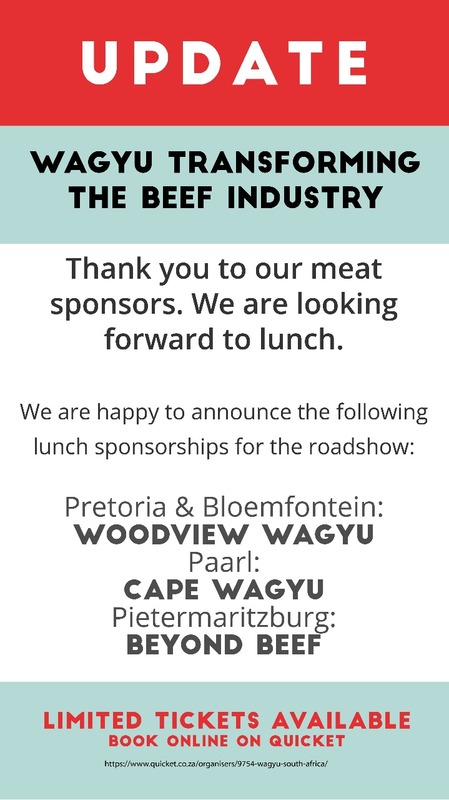 Wagyu Society South Africa are hosting a national roadshow, and here are the dates and places to look out for them! 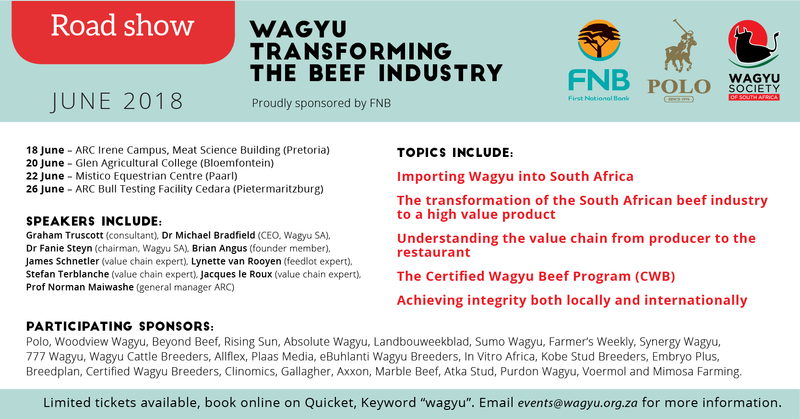 Great opportunity for those interested in Wagyu and looking for more information! 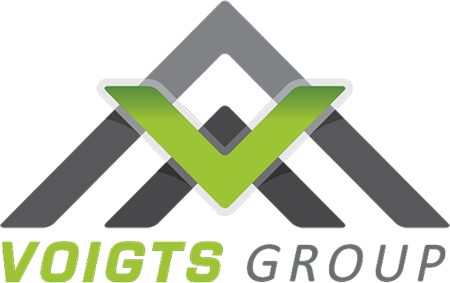 Voigts Group bring home the 2018 Championship!